Bed bugs are blood-sucking insects that feed on sleeping humans while you sleep at night. Until recently, bed bug infestations were typically found in crowded housing environments. However, bed bugs have now found their home in some of the finest hotels and homes nationwide. They are oval, wingless, about 1/5 inch long, and rusty red or mahogany. 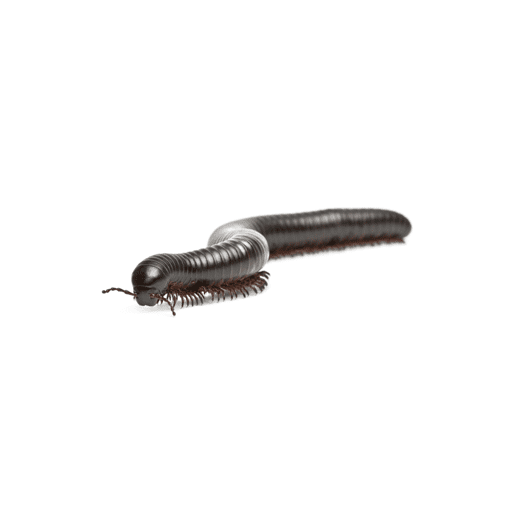 Their bodies are flattened, they have well-developed antennae, their compound eyes are small, and the area behind the head and have many small hairs. 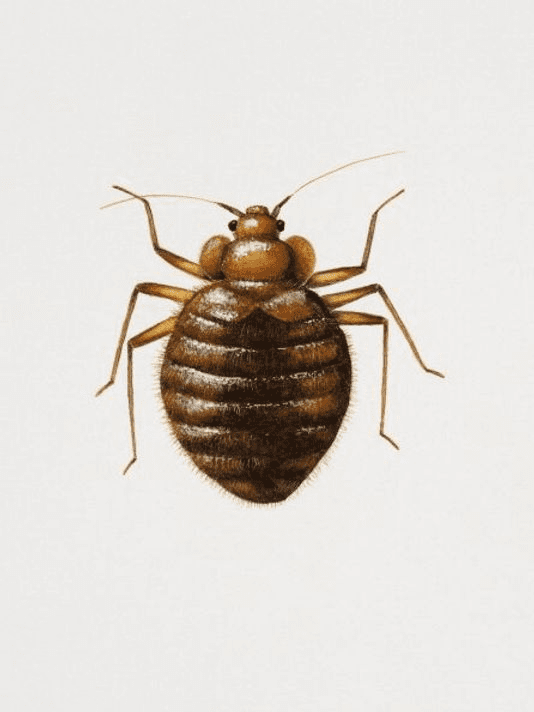 Baby bed bugs are identical to the adults except for their smaller size (1/20 –1/5 inch), thinner outer skeleton (cuticle), and lighter yellowish-white color. The B/W is one of the easiest spiders to identify; its black body in sharp contrast to the red hour glass on the underside of its abdomen. 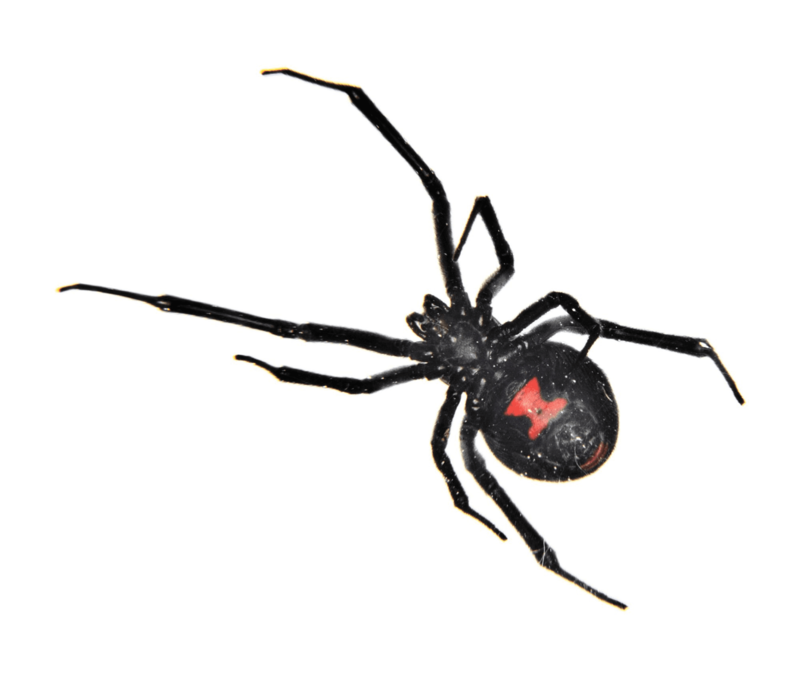 The B/W is one of the easiest spiders to identify; its black body in sharp contrast to the red hour glass on the underside of its abdomen.They are generally non aggressive but they will be more aggressive when guarding an egg sac. B/W's build their webs in secluded, protected sites under shrubbery, boards, furniture, debris, inside boxes or even in seldom worn shoes.The male is smaller than the female, colored differently and does not have her characteristic sphere-shaped abdomen. 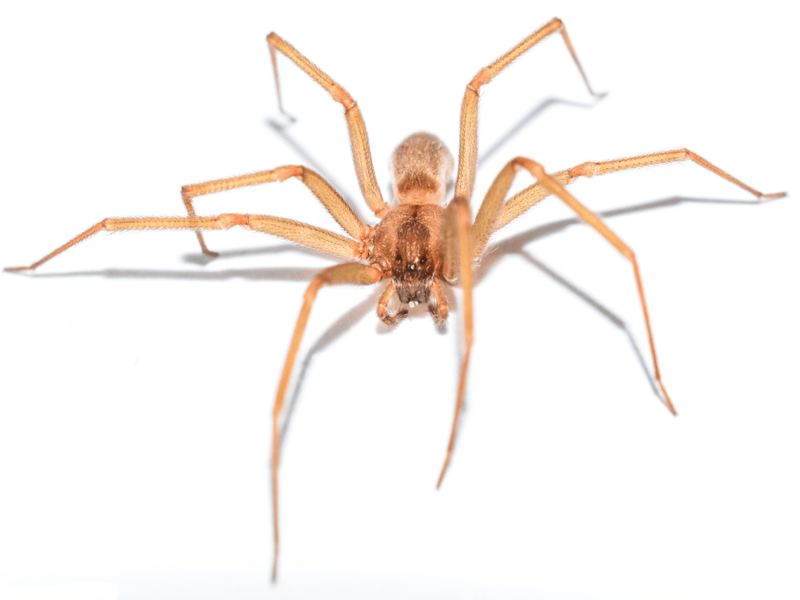 In milder seasons, the brown recluse can live outdoors under stones, firewood and loose bark where it constructs a small irregular web. In the winter, it spins a silken tube or cocoon like web to protect itself from the cold. In milder seasons, the brown recluse can live outdoors under stones, firewood and loose bark where it constructs a small irregular web. In the winter, it spins a silken tube or cocoon like web to protect itself from the cold. It is more often found indoors in cracks, and behind or under items stored in closets, garages, attics, etc. It is "reclusive" in its habitat.The female is a passive hunter and uses its web to capture prey. The male searches for prey in the areas surrounding the web retreat. He prefers to spend the day in dark secure areas surrounding the web retreat. The spider takes about one year to mature from egg to adult and the adults are relatively long lived, probably surviving two winters. A female produces from one to five egg sacs during her adult life, each sac containing about 5 eggs. Most of the spider lings are hatched during the summer. The young spiders do not have the violin marking. 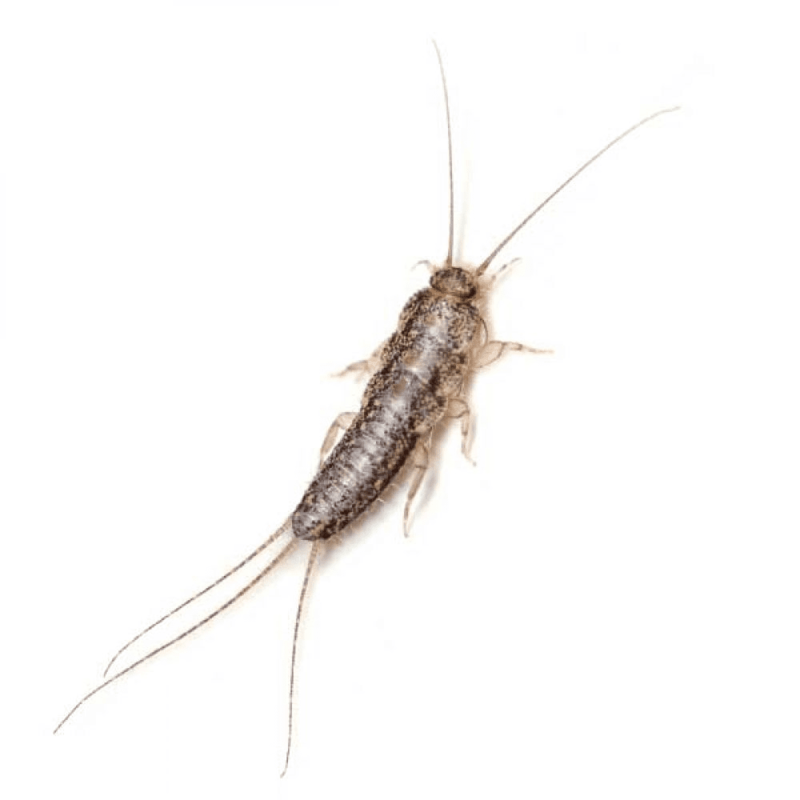 Homes that have had asphalt shingle roofs installed over wood shingles can house large populations because these structures tend to have numerous silverfish which are a favorite food of the brown recluse. 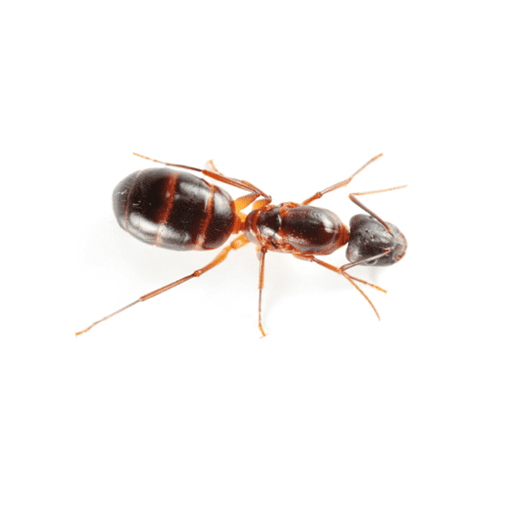 The carpenter ants in North Texas are red and black, but the male swarmers (with or without wings) are solid black. 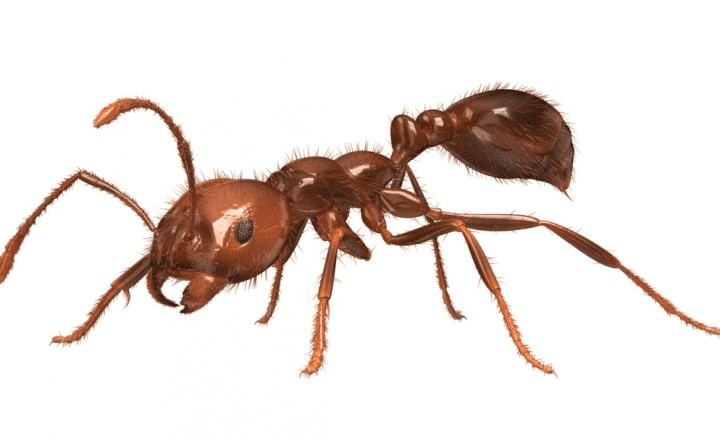 Worker ants are two sizes; minors measuring 1/4 in. and majors measuring 1/2 in. Carpenter ants do not eat wood, but destroy it by carving out structures to form their nests. You may find "frass", i.e., wood sawdust filled with pieces of ant bodies at the entrance to their nests. These insects are called occasional invaders. They live outside your home in bark mulches and ground covers.When outdoor conditions are too wet, or too dry, or any number of other reasons that will cause them to migrate, they become your unwanted guests. These insects are called occasional invaders. 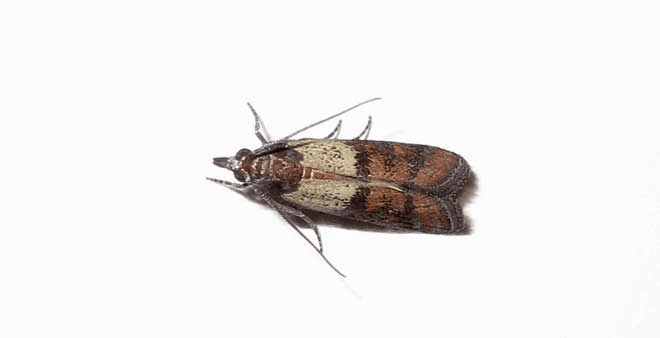 They live outside your home in bark mulches and ground covers.When outdoor conditions are too wet, or too dry, or any number of other reasons that will cause them to migrate, they become your unwanted guests.They are unsightly, wedged in the seam of your carpet and baseboards. Their presence a attracts spiders who feed on them and, in time you will have a complete Eco-system operating in your living room. Their mounds contain up to 100,000 ants and have many queens. Each mound has tunnels under the surface running down to about five feet. The mounds can be constructed in the open or under things like landscape timbers, sidewalks or foundations. Their mounds contain up to 100,000 ants and have many queens. Each mound has tunnels under the surface running down to about five feet. The mounds can be constructed in the open or under things like landscape timbers, sidewalks or foundations. They often appear "from nowhere" after a rain.The queens usually lay eggs that develop into sterile workers. These workers are the foragers of food and they keep the colony well fed with their far ranging activity. Occasionally, the queens lay a different king of egg that develops into a swarmer that is either male or female and has wings. After the swarmers are nourished to maturity by the workers, they take off on a mating flight. Wherever the fertilized female swarmer lands she begins developing a new mound. This is why you will never have complete control. Fire ants are many sizes, ranging from 2mm to 10mm, all being found in the same mound. They are attracted to electrical fields such as air-conditioning units and can cause hundreds of dollars of damage to compressor motors. They are also allured to soiled clothing as found in laundry rooms and closets. This insect has a complete metamorphose, i.e., adults lay eggs which hatch into a larvae, which builds a cocoon around itself (pupae). The adult flea emerges from the pupae to start the cycle over again. An adult flea lays about 300 to 500 eggs. Given this, when you think fleas are bad, you haven't seen anything yet. At any given time, only about 5% of the total population is in the adult stage. 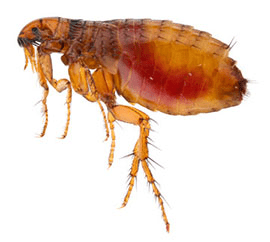 Fleas need a host to reproduce...your pets will do just fine. Give them a little blood and they will be on their way. We recommend that our customers who are pet owners, should consult with their vet about a product called "The Program". This is a hormone that after being ingested by the pet goes directly to the pet's blood stream. 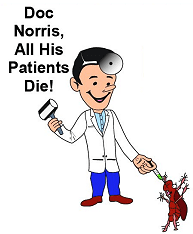 When a flea bites the pet for the shot of blood, it is basically sterilized by the hormone. Cool chemistry! The hormone has no impact on the pet's virility nor will it affect your ability to manage the size of your own family. Adults have red eyes and yellow-brown bodies. Life cycle from egg to adult is approximately 10 days. Eggs are laid near or on top of fermenting materials, such as decaying fruit and vegetable matter. Adults have red eyes and yellow-brown bodies. Life cycle from egg to adult is approximately 10 days. Eggs are laid near or on top of fermenting materials, such as decaying fruit and vegetable matter. They are attracted to any area where moisture has accumulated. Flies are natural organisms in any decomposition system. Always keep 3 to 4 inches of shredded moist newspaper on top of your worm bin to make it difficult for the female flies to lay eggs in the food waste.To prevent fruit fly infestations you can freeze or microwave your food waste prior to placing in your bin. This destroys eggs and larvae that live on the peels. Allow the material to reach room temperature prior to feeding to worms.To reduce existing fruit fly populations you can use a trap or find some beneficial nematodes from your local garden center and add them to the bin. Identified by two black "corporal stripes" behind its head. Adults reach a maximum length of 5/8 in. Instars (juveniles) have different body shapes and bear little resemblance to the adults. Identified by two black "corporal stripes" behind its head. Adults reach a maximum length of 5/8 in. 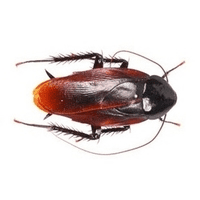 Instars (juveniles) have different body shapes and bear little resemblance to the adults.This roach is very common in restaurants, apartments and less privileged neighborhoods. 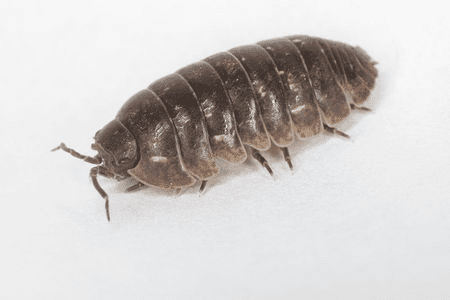 Common ways of introduction are in cardboard boxes, paper grocery sacks, and even in the purses and personal belongings of domestic help.German roaches can be found throughout structures but usually occur in rooms where people eat. 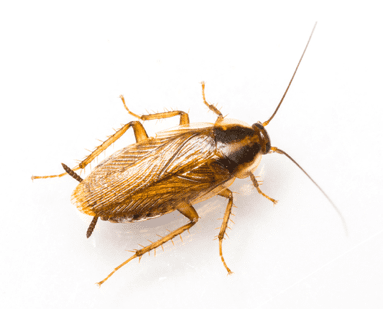 Bathrooms can be also easily infested, in that the roaches find nourishment from particles left on toothbrushes and in sinks.This roach lives in cracks and crevices but can be seen venturing out for food which is usually at night or they are visible when disturbed by opening drawers or cabinet doors. This species is always found in association with humans or activities of humans. This is the most common species found on hog and poultry farms, horse stables, and ranches. This species is always found in association with humans or activities of humans. This is the most common species found on hog and poultry farms, horse stables, and ranches. Not only are they a nuisance, but they also can transport disease-causing organisms. Excessive fly populations are obnoxious to farm workers, and when there are nearby human habitations a public health problem is possible. 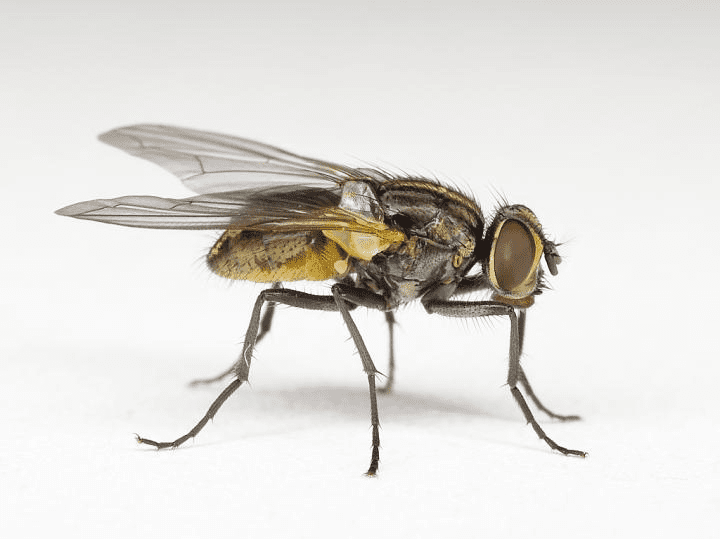 More than 100 pathogens associated with the house fly may cause disease in humans and animals, including typhoid, cholera, bacillary dysentery, tuberculosis and infantile diarrhea, as well as parasitic worms. Pathogenic organisms are picked up by flies from garbage, sewage and other sources of filth, and then transferred on their mouthparts and other body parts, through their vomitus, feces and contaminated external body parts to human and animal food. These small creatures (less than one ounce) live in fields and are jealous of your life style. They'll most commonly use the spaces around your garage door as an entry to move in with you. These small creatures (less than one ounce) live in fields and are jealous of your life style. They'll most commonly use the spaces around your garage door as an entry to move in with you. From there, its up in the walls and probably ultimately to your kitchen. Droppings (1/4 in. long) are everywhere they are...that's generally your first clue. Mice are curious. They will react quickly to baits and traps. A female mouse can raise 3 to 35 babies per year. One winter, we trapped 38 mice in a new home which was located next to an empty field. Ironically, the neighbors had no activity. These insects are called occasional invaders. They live outside your home in bark mulches and ground covers. 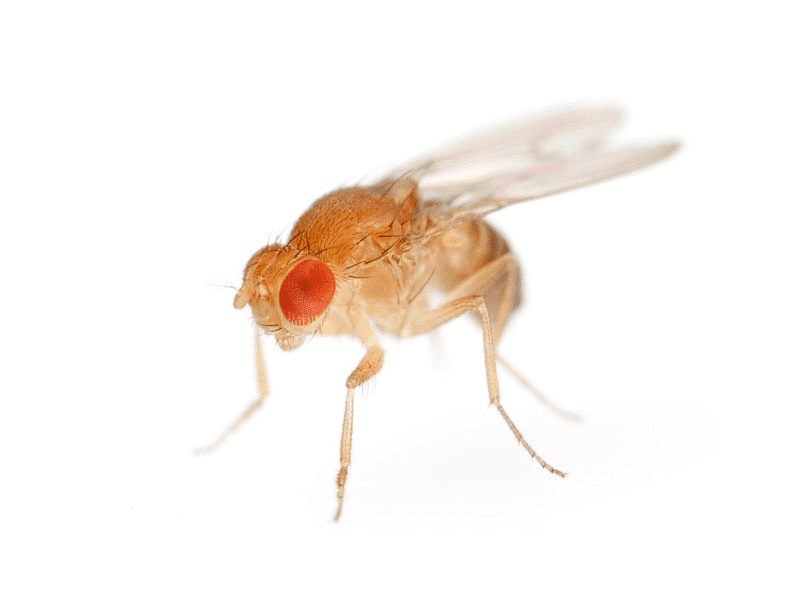 Like all True Flies, they have two wings, but unlike other flies, their wings have scales and their mouthparts (in female mosquitoes) form a long piercing-sucking proboscis. Like all True Flies, they have two wings, but unlike other flies, their wings have scales and their mouthparts (in female mosquitoes) form a long piercing-sucking proboscis. Males differ from females by having feathery antennae and mouthparts not suitable for piercing skin. Nectar is their principal food source.There are over 2500 different species of mosquitoes throughout the world, of which 150 species occur in the United States. Each of the species has a Latinized scientific name, such as Culex tarsalis. Culex is the "generic" name of a group of closely related mosquitoes and tarsalis is the "species" name which represents a group of indiviuals that are similar in structure and physiology and capable of interbreeding. These names are used in a descriptive manner so that the name tells something about this particular mosquito. Some species have what are called "common names" as well as scientific names, such as Aedes sollicitans, the "Black salt marsh mosquito." The Indianmeal moth was named by an early American entomologist who found it feeding on cornmeal (Indian meal). The Indianmeal moth was named by an early American entomologist who found it feeding on cornmeal (Indian meal). It is probably the most encountered pest of stored products found in the home. Adults have a wingspread (tip to tip) of about 5/8 in. to 3/4 in. Wings are pale gray with outer 2/3 of the wing having a reddish brown hue with a coppery luster.The female lays 1 to 4 eggs on the food which upon hatching, the larva establishes itself in a crevice of the food material. The larval period lasts 13 to 288 days, depending on temperature and food availability. When the larvae is ready to build its cocoon, it generally goes to a ceiling wall joint and reestablishes itself there. The larvae are surface feeders and generally produce a lot of webbing throughout the infested part of the food. They attack grain products, dried fruits, seeds, nuts, dog food, bird seed. The adults cause no damage. 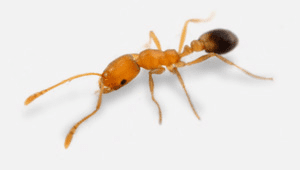 Pharaoh ants are small, yellow/red ants about 1/16" in length. Nests are found in wall voids, behind baseboards, inside refrigerator insulation, shower rods, electrical boxes, etc. Pharaoh ants are small, yellow/red ants about 1/16" in length. Nests are found in wall voids, behind baseboards, inside refrigerator insulation, shower rods, electrical boxes, etc. Large colonies have up to 300,000 workers and many queens.New colonies are formed by "budding". When a colony is too large or under stress, i.e., being treated with residual pesticides, the workers take some of the colony's brood (larvae & pupae) and move to new locations. Treating with sprays is similar to trying to extinguish a fire with gasoline. A sleek and graceful rodent that weighs five to nine ounces.The body is six to eight inches long and the tail is another seven to ten inches. A sleek and graceful rodent that weighs five to nine ounces.The body is six to eight inches long and the tail is another seven to ten inches. With the long tail as a stabilizer, it can walk wires, fence tops and tree limbs making entry into homes easy. It nests in walls, attics and trees.The female can raise 20 babies per year. It is not aggressive and can exist in relative large numbers without ever being seen. Usual signs of an infestation are gnawing damages and droppings. 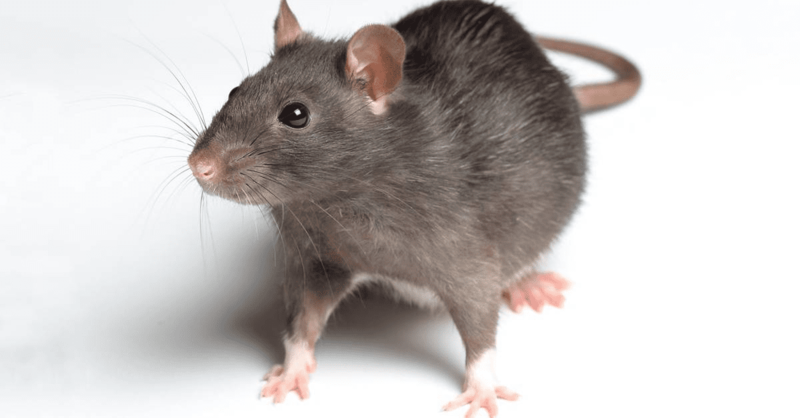 Their droppings are approximately 1/2 inches in length and will be found in all areas that the rat travels. 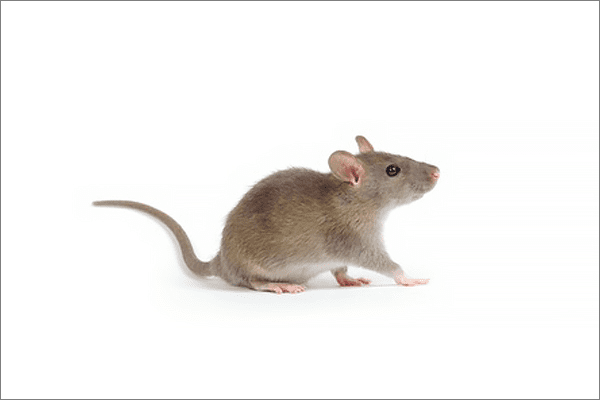 Entry points may have an oily appearance (rub) where the rats touch the structure. Another species, the Norway Rat is stockier and lives in burrows, sewers and piles of debris. Its droppings are 3/4 in. long. Silverfish can be found almost anywhere throughout the house. They tend to roam quite some distance while searching for food, but once they find a satisfactory food source, they remain close to it. Silverfish can be found almost anywhere throughout the house. They tend to roam quite some distance while searching for food, but once they find a satisfactory food source, they remain close to it. Within structures, they can breed in many areas, i.e., wall voids, attic spaces, etc. They can survive for weeks without food or water. They are rarely found outdoors. Silverfish are pests of paper, particularly of glazed paper with sizing, wallpaper and wall paper paste, etc. They also eat proteins such as dried beef or leather. Homes that have asphalt shingles installed directly over wood shingles can be heavily infested. The silverfish will nest between the two roofs and be very difficult to eradicate. Frequent fogging or dusting will help control their populations, but long range control will be elusive. This roach, which is called a "water bug" by many locals or a "tree roach" by people who live in Highland Park is really a cockroach of major proportions. This roach, which is called a "water bug" by many locals or a "tree roach" by people who live in Highland Park is really a cockroach of major proportions. Adults are 1 to 1-1/4 in. and are brownish-black in color, have wings, can fly and are attracted to light. Instars (juveniles) have distinctive colors, shapes and bear limited resemblance to the adults. Common habitats are loose mulch, ground ivy, woodpiles, and the soffits/eaves of attics. They can be carried into homes, but usually enter at night via small cracks and crevices where light penetrates to the outside. Once inside, they tend to prefer warm and humid areas that are not exposed to air currents.They feed on any kind of organic matter and can do minor damage to indoor plants. Primarily a night feeder, it is not uncommon for the homeowner to find them in the kitchen or pet feeding areas in the middle of the night. They can be very prosperous and flourish in huge numbers by feeding on dog droppings left in the yard. 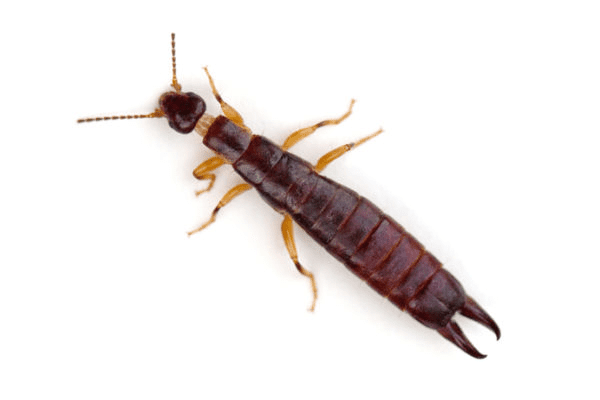 Subterranean termites are the most destructive insect pests of wood in the United States. They cause more than $2 billion in damage each year, more property damage than that caused by fire and windstorm combined. In nature, subterranean termites are beneficial. They break down many dead trees and other wood materials that would otherwise accumulate. The biomass of this breakdown process is recycled to the soil as humus. Problems occur when termites attack the wooden elements of human structures -- homes, businesses and warehouses. Their presence is not readily noticed because they hide their activity behind wallboard's, siding or wood trim. 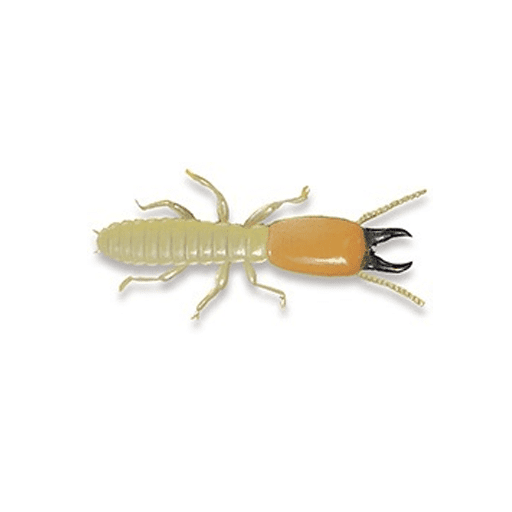 Homeowners in all areas of Texas should watch for subterranean termites and take precautions to prevent infestations. To minimize damage from termites, it is helpful to know the description, life cycle and infestation signs of termites as well as preventive and control measures. Physical contact is the only method of transportation for ticks. Ticks do not jump or fly, although they may drop from their perch and fall onto a host. Physical contact is the only method of transportation for ticks. Ticks do not jump or fly, although they may drop from their perch and fall onto a host. Some species actively stalk the host by foot.Although ticks are commonly thought of as insects, they are actually arachnids like scorpions, spiders and mites. All members of this group have four pairs of legs as adults and have no antennae. Adult insects have three pairs of legs and one pair of antennae. Ticks are among the most efficient carriers of disease because they attach firmly when sucking blood, feed slowly and may go unnoticed for a considerable time while feeding. Ticks take several days to complete feeding. Ticks have four life stages: egg, six-legged larva, eight-legged nymph and adult. After the egg hatches, the tiny larva (sometimes called a “seed tick”) feeds on an appropriate host. The larva then develops (molts) into the larger nymph. The nymph feeds on a host and then molts into an even larger adult. Both male and female adults find and feed on a host, then the females lay eggs sometime after feeding.Ticks wait for host animals from the tips of grasses and shrubs (not from trees). When brushed by a moving animal or person, they quickly let go of the vegetation and climb onto the host. Ticks can only crawl; they cannot fly or jump. Ticks found on the scalp have usually crawled there from lower parts of the body. Some species of ticks will crawl several feet toward a host. 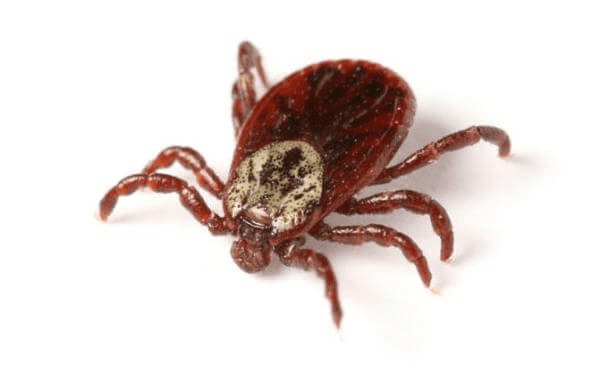 Ticks can be active on winter days when the ground temperatures are about 45o Fahrenheit.There are two groups of ticks, sometimes called the “hard” ticks and “soft” ticks. Hard ticks, like the common dog tick, have a hard shield just behind the mouth parts (sometimes incorrectly called the “head”); unfed hard ticks are shaped like a flat seed. Soft ticks do not have the hard shield and they are shaped like a large raisin. Soft ticks prefer to feed on birds or bats and are seldom encountered unless these animals are nesting or roosting in an occupied building. The webworm, Hyphantria cunea (Drury), is a common pest of trees. Webworms are caterpillars that feed protected by webs; these caterpillars primarily feed on leaves. They vary in size from 1/2 to nearly 1 1/2 inches in length. Full grown larvae are about an inch long and are very hairy, with pale yellow stripes along the sides. Webworms are known for the large, unsightly webs they produce. Some trees appear to be wrapped almost entirely with webs. Webworms attack more than 120 varieties of fruit, shade, and woodland trees. Among their favorites are apple, peach, pecan, black walnut, birch, elm, hickory, poplar, white oak and willows. Occasionally they attack roses and other shrubs. Initially the web covers a few leaves on a branch. As larvae grow, entire branches may be infested. Webs often are 2-3 feet long. The larvae eat entire leaves except for the midrib and veins. Although the webs are unsightly, they usually do little serious damage to plants because defoliation occurs in late summer when deciduous trees and shrubs are going dormant. Webworms have many natural enemies that ordinarily keep the numbers down. But every few years the numbers increase and trees become heavily infested. Heavy infestations are rarely fatal, but if they occur repeatedly over several years they can stress trees and make them more susceptible to drought, disease or other insect pests which can be fatal. These worms overwinter as pupae in cocoons under trash on the ground or under loose bark. White moths emerge from May to August. Since adults emerge over several weeks, not all webs start at the same time. White eggs are laid in masses on the undersides of leaves. 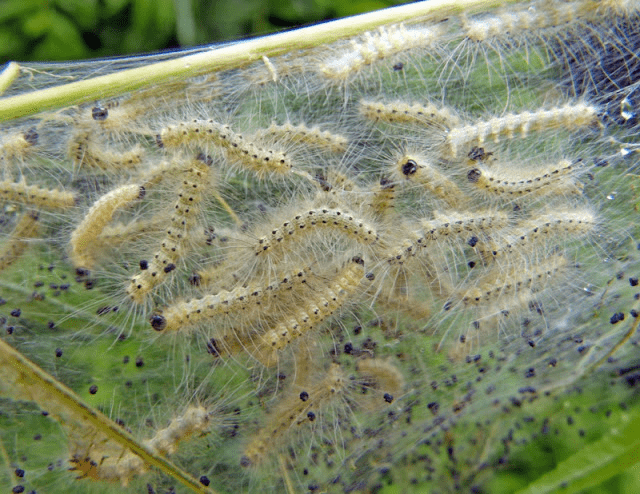 As soon as they hatch, larvae begin to spin webs over the foliage and feed on the enclosed leaves. The web grows as larvae grow and eat foliage. Larvae remain clustered, usually not crawling away from the web until ready to pupate.